Where’s the last month gone? It must be that mad end of year rush and Christmas cheer getting in the way of my writing. It’s been a big month with lots of learnings. My intuition has been guiding me ‘big time’. Last month it recommended I have some SHIATSU MASSAGE. A treatment I had let go. I had a sense that something was out of balance or needed clearing. As Amanda was working on me, she started asking about a tightness in my upper back, which I have had since I was about six years old. 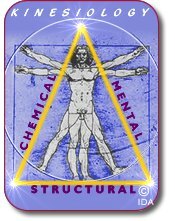 As we talked I realised I’d created a ‘metaphorical shell’ on my back as a protection against punishment which I experienced as a child. I actually had a small hump there. As we explored this, in my mind I broke it and it crumbled away, giving me an increased flexibility and freedom in my upper back. It was an extraordinary experience. The following week I had another session and went a little deeper exploring my heart and love. To clear it, Amanda suggested when I meditate, that I ask my my heart what the blockage is. A few days later I realised that my husband’s daughter had broken my heart a number of times over the past seven years and the heartache was still residing there. Magic! This lead me to have a KINESIOLOGY session with Angela, who I’d been coaching. She works on the structure of the energy in your body and clears any blockages. Nothing seemed to happen on the table, then I felt unwell for 24 hours as the blockages cleared. The next day I woke up feeling like a new woman. Angela had said to me, “holding on to pain and hurt and not letting love into your heart has been known to cause breast cancer.” Just what I’d thought. So whilst I had forgiven all the people who had hurt me over the years, including myself, there was some residue still there. Whilst all this was happening, I had my 12-monthly check up with my oncologist. There was a little bit of anxiety coming to the surface in the couple of days leading up to this appointment. I didn’t know what she was going to do when we met. She asked me what my programme was and whether I had any side-effects from the chemotherapy. I went through all the natural things I’m doing and said, “my stamina’s still not back to what it was and my liver is still not healed”. Otherwise I feel and look (so I am told) fit and healthy. The result of the physical examination was ‘ALL CLEAR’. How exciting and what a relief! I have realised it takes something to trust yourself. It is an ongoing journey and learning experience. I’m still learning about myself and the things that stop me from time to time. I’m using my team – integrated GP, lymphatic masseur and physiotherapist – to keep me on track with my new health programme and diet, supplements, exercise, massage and meditation. From time to time I wonder whether I’m on the right track. What is the right track? I feel like I’m on a solo journey sometimes. This weekend I took myself to Noosa Heads, one of my favourite places in Australia, for two days R&R – an early birthday present and a rejuvenator. 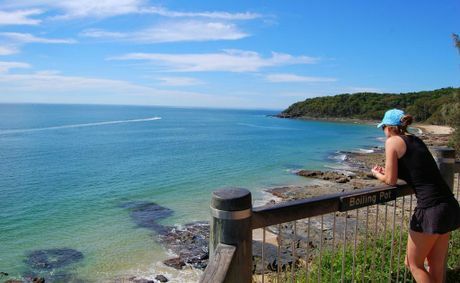 Each morning I walked the coastal track of the Noosa National Park, breathing in the fresh air, feasting my eyes the beauty of the ocean and the coast line, and skin and body with the warm morning sun and breeze. All food for my mind, body and soul. 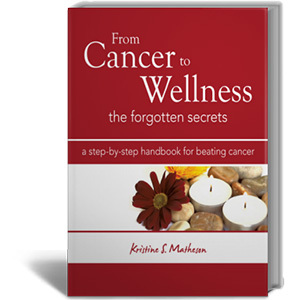 Whilst browsing in a Noosa bookshop, looking for a good old-fashioned calorie counter book, I came across Kristine S. Matheson’s book, From Cancer to Wellness the forgotten secrets, a step-by-step handbook for beating cancer. She provides a prescription for healing your body without what she calls SPB – slash (operation), poison (chemotherapy) and burn (radiation therapy). Of course I bought it. As I read it, I thought, “I’m reading about myself”. Whilst I did the ‘slash and poison’, I realise that in the process, with integrated therapies, I healed and rejuvenated my body using the same prescription of diet, exercise, meditation, reiki, forgiveness and affirmation. My ‘right track’ is listening to my intuition. Dealing with Stress. When any stressful situation arises or I find someone aggressive towards me I get anxious. A confrontational Board situation recently caused me to doubt myself. I seriously considered stepping aside. By trusting myself and working through it, I have been able to open a door to a discussion which I believe will resolve it. To guard my body now, I create love and light around me. My Grateful. I love the festive season. Old friends and acquaintances get in touch and this reconnection will carry on well into the new year. I AM GRATEFUL for the LOVE AND FRIENDS I have around me. This entry was posted in Support and tagged dealing with stress, From Cancer to Wellness, intuition, kinesiology, Noosa National Park, shiatsu massage, trust yourself, walking by Intuitive Living. Bookmark the permalink. Great work Jill, love that you are listening to your intuition and more importantly, acting on it!